Before releasing this special capability to the public, we first handled an under wraps special request for the Commander-in-Chief. We were asked to transform 17 Ford Super Duty chassis into fully-loaded diesel SUVs, which did not exist in the marketplace at that time. This custom order featured diesel-powered engines, upgraded suspension, and braking packages. Once finished, they served as communications vehicles in the Presidential motorcade. Depending on your needs, you may not need your Super Duty truck or SUV to have all these bells and whistles. 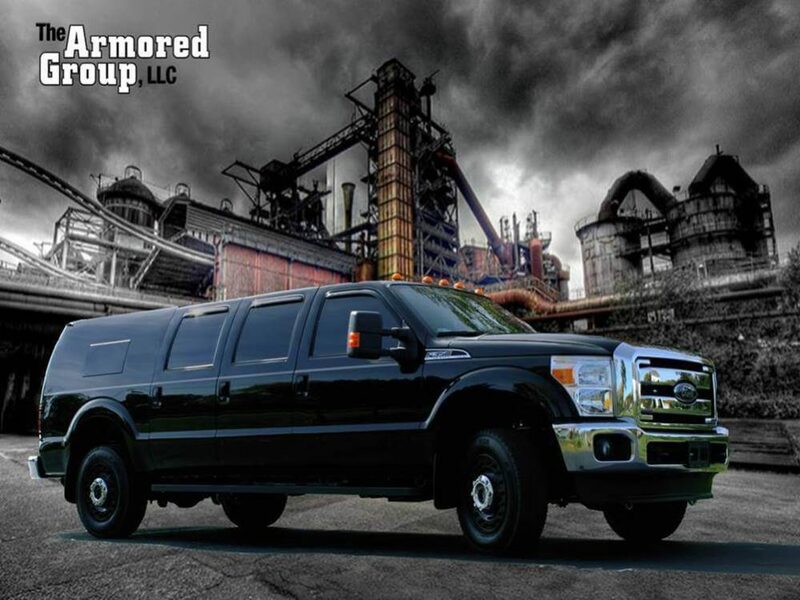 No matter what plans you have for an armored Ford Super Duty SUV or truck, The Armored Group is unparalleled in our customization capabilities. Prefer right-hand-drive? We can do that! Need it to be diesel-powered? Not even breaking a sweat. Want to upgrade to four-wheel-drive functionality? Done. We transform OEM chassis into the armored beasts you need them to be all the time. To learn more about our armoring packages or pricing tiers for Ford armored trucks or SUVs, contact us today! The Armored Group can also provide grant assistance for the Department of Defense and other protective agencies that issue grants for armored vehicles.